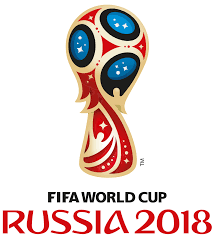 Morocco faces Iran in a match from Group B of the FIFA World Cup in Russia. This game is going to be played at the Saint-Petersburg Stadium in the beautiful city of St. Petersburg. Here are our betting reviews for this match. Morocco are currently one of the best African teams. They won the last edition of the African Cup of Nations, humilating Nigeria with 4-0 in the final. This game was a clear sign that Morocco are ready to impress at the World Cup. They are in a difficult group with teams like Spain and Portugal, but you can be sure that they will try to do something remarkable. If they manage to start with a win against the underdog Iran, they will have bigger chances to reach the 1/8-finals. For Morocco this would be a major success. In their last five friendly games Morocco showed once again their class. Led by the French manager Herve Renard, they won four times against Serbia, Uzbekistan, Slovakia and Estonia and made one draw against Ukraine. The last time when Morocco suffered a defeat in an official game was in the summer of 2017, when they were beaten by Cameroon. Iran on the other hand are regarded the underdogs in this group. But led by the famous Carlos Queiroz, you can be sure that they won’t give up without a fight. For Iran it’s a matter of honour to do well at the World Cup. Four years ago they also participated at the World Cup in Brazil, but they were unable to qualify for the knockout stage. These are our betting reviews for the World Cup clash from Group B between Morocco and Iran in St. Petersburg. We think that Morocco are favourites here, because they have the better team. But let’s see.